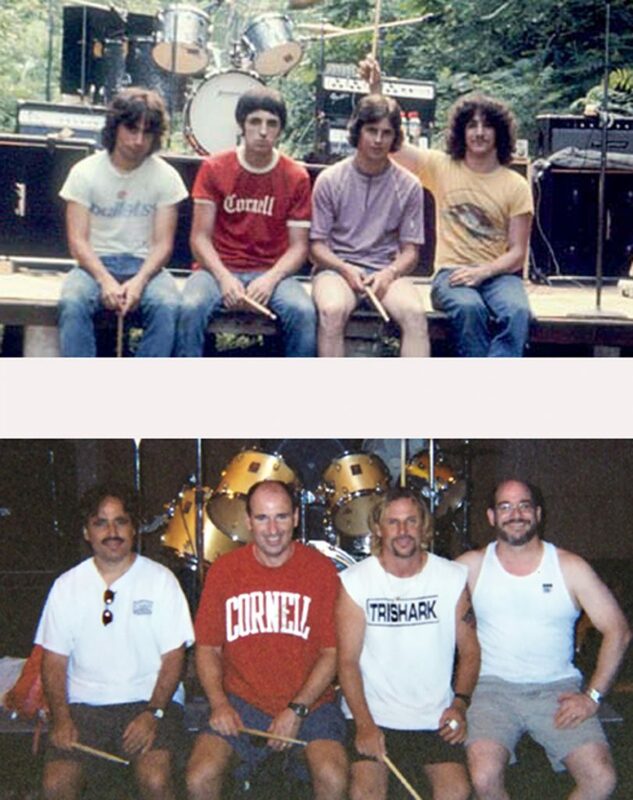 Past Alumni Association President Scott Abrams ’80 is calling for an encore. After over 30 years in engineering, this alumnus made a move that no one saw coming – he became a Broadway producer. With a successful opening week in the books, it’s now the audience that’s calling for an encore. 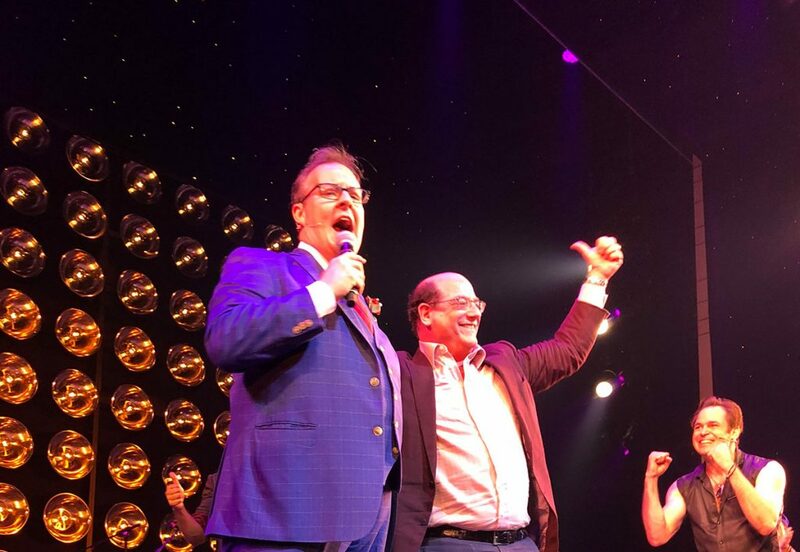 At opening night, your co-producer Ken Davenport got on stage and asked the audience, “Are you having fun yet?” So, it makes sense to ask, are you having fun yet? I’m having what I like to call Big Fun! The first time I went to technical rehearsals, Ken was surprised to see how much I enjoyed it. Getting ready for Broadway is not much different than launching a new product. You have to get a killer team in place, nurture them, and work with them to achieve greatness. What has been the reaction from friends and family? Naturally, everyone is surprised. My LinkedIn account has over 4,000 connections and the messages I have received from the CEOs, program managers and engineers that I worked with over the years has been very supportive. The other thing I find interesting is that my posts about Gettin’ The Band Back Together have had an incredible number of views. In some cases, nearly 50 percent of my connections are viewing these posts. They seem to really enjoy learning about my “new” life. What’s the biggest difference between managing a company and managing a show? Every business has its unique share of challenges, but managing a show does have several common traits with managing a company. They both have an idea, a budget, a team of people with egos, schedule constraints, logistics issues, strong leadership, innovative marketing, and a need to make sales as fast as possible. What fascinates me is seeing methods used at a show that should and could be applied at companies. Broadway shows have no weak performers, yet businesses too often include weak performers on a critical team. Businesses don’t plan and rehearse for an important presentation like a show. If a Broadway director was leading a business presentation to an important prospective customer, before a meeting that director would want to know the size of the conference room and the placement of the door and screen. The director would determine the best seating arrangement, pick who is participating, script the presentation, have everyone rehearse and role-play, refine the script and delivery, and send a requested seating chart to the prospective customer. Every little detail gets planned out and anticipated. What does a typical day look like for you as Producer? Depending on the day I might attend rehearsals, the performance, marketing and strategic meetings, and if I’m really lucky, attend a fun party. Every day, I review the performance report for the prior day’s performance(s). Ken Davenport and I often communicate several times a day. Ken is involved with the day-to-day activities and consistently puts in very long days – but he loves it. What inspired your career change from Engineering to Broadway Producer? For me, it doesn’t feel like a huge career change. I’ve been performing in bands playing bass guitar since tenth grade. I love entertaining people, and have always had an interest in sound systems, lighting, and special effects – all necessary pieces of a successful Broadway show. So how did it happen? Did you decide that you wanted to branch out first, or did someone come to you with this particular opportunity? One of my neighbors was involved with Jersey Boys during its infancy. I was intrigued by what he was doing. Then in 2011, I met Ken Davenport and got my first opportunity to be involved in a Broadway show – the revival of Godspell. Although my involvement with Godspell was small, it was enough to whet my appetite to be involved with more Broadway shows. After you graduated from Stony Brook, you founded and served as the CEO of The Omnicon Group. Was music a part of your life at that point? Like the main character in Gettin’ The Band Back Together, you also were in a band in high school. Do you see a lot of yourself in this show? In 2003, I got a call at The Omnicon Group from Brian Jones, an old bandmate of mine from Crystal Legend who I hadn’t seen or heard from since 1976. On that call his first words to me were “Hey man, we’re putting the band back together! We’re on a mission from God” – right out of The Blues Brothers movie. The next day, I bought all new gear, started relearning songs I hadn’t played in over 20 years, and a few months later we got the band back together to play in San Diego. I haven’t stopped playing since. And now Sahara has gotten back together too! So when you see Mitch back on the stage with Juggernaut in Gettin’ The Band Back Together, how much does it resonate with your own experience of reuniting an old band? There is great comradery in a band. At 40 years old, when Mitch Papadopoulos (played by Mitchell Jarvis) returns to Sayreville, New Jersey, he and his old bandmates quickly pick up where they left off in high school. All of their old memories are crystal clear. The same is true with my old bands. When we all get together, we can reminisce for hours about prior gigs, events, rehearsals, Battles of the Band, etc. None of us were dating our wives when we first played together, and our wives find it very entertaining listening to our stories. About 10 years ago, my wife Lori saw me in the kitchen wiping the dust off an old box of cassettes (remember those?). She saw the hand-written label on a particular Sahara cassette from 1977 and exclaimed “I was at that Sweet 16 Party!” Who knew? What a crazy coincidence, my wife saw my band before she even knew who I was. You’ve remained highly connected to Stony Brook since graduating, even serving as the President of the Alumni Board. How has Stony Brook played a role in your journey? Stony Brook really shaped my life. I discovered Long Island because I came to Stony Brook. I then went on to found my own company on Long Island. I have many friends now that are alumni that I didn’t know when I was attending Stony Brook. I also occasionally jam with a few alumni. Stony Brook has always been a terrific feeder of engineering talent to The Omnicon Group, which helped the company grow. Suffice it to say, I think I owe a lot of my success and happiness to Stony Brook. With an alumni event based around your show coming up on September 27, what does it mean to you to be able to share this achievement – putting a show on Broadway – with your fellow alumni? It’s extremely satisfying but also humbling to see the audience’s reaction to the show. The first night of previews I couldn’t believe the number of people lined up to enter the theatre. The show has many funny scenes, and catchy songs that result in everyone leaving the theatre laughing and happier than when they entered. We’ve gotten standing ovations every performance. I look forward to putting a big smile on the face of my fellow alumni. See the show and meet Scott! Get discounted alumni tickets to see Gettin’ The Band Back Together on Broadway on September 27. Stick around after the show for an exclusive meet and greet with Producer Scott Abrams ’80 and members of the cast!